January is already over! I can't believe it... I guess it is true that "time flies when you are having fun." And I had lots of fun during this first month of the year reading and blogging about different types of science fiction reads, both the old and the new. 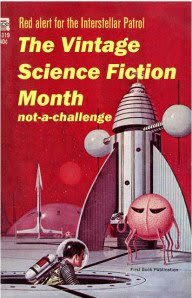 I would love to thank The Little Red Reviewer for hosting The Vintage Science Fiction Month. 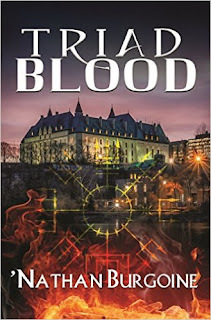 Not only did I read a few oldies but goodies, but I also added to my "to read" list by visiting other blogs and reading some excellent reviews posted by fellow participants. I am also participating in The 2013 Science Fiction Experience hosted by CarlV from Stainless Steel Droppings and enjoying it to the fullest, but I still have one more month of enjoyment left and planning to read quite a few books too. Favorite books of the month: Within Reach by Sarah Mayberry, The Winter Sea by Susanna Kearsley (upcoming review for Read-along hosted by Christine from The happily ever after...), and the Wool Omnibus by Hugh Howey. And wow, you've reviewed a lot of them. That's always so awesome! Hmmm, aside from the Ruthie Knox and Joanna Chambers, nothing from 2013? Seriously, publishers need to start the year with a bigger bang. Nath, January was better than expected. I read lots of BIG books (400 and 500 pages and over). But most of all it was an enjoyable month both on the reading and blogging fronts. I know you like Knox and this novella is the beginning of a new contemporary romance series. Definitely pick it up! But yeah, I know what you mean! Thanks Orannia. And reading a 600 page book counts for a lot! Hope you have a great reading month in February too! What a great month for you, Hils. All that sci-fi and quite a few other books, too! Let's hope February is just as awesome. I'm so glad you loved the Kearsley book. I am more than half way through--I should be reading now instead of blog hopping! I had a busy week last week, but this week looks more relaxed, so I am determined to finish it within a day or two. Christine, thanks... I had a great time reading my sci-fi books. I hope you enjoyed the Kearsley book as much as I did! Can't wait to read your last thoughts on it. I understand busy! I'm glad that I read it early in January, otherwise I wouldn't have been able to finish it either. *g* Good luck with your reading plans!